LD 06 DR. E-91, showlok 1926 DEMO 1:87, without engine. LD 06 DR. E-91, showlok 1926 DEMO 1:87 without engine . 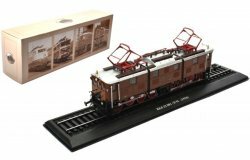 Notify me of updates to LD 06 DR. E-91, showlok 1926 DEMO 1:87, without engine.